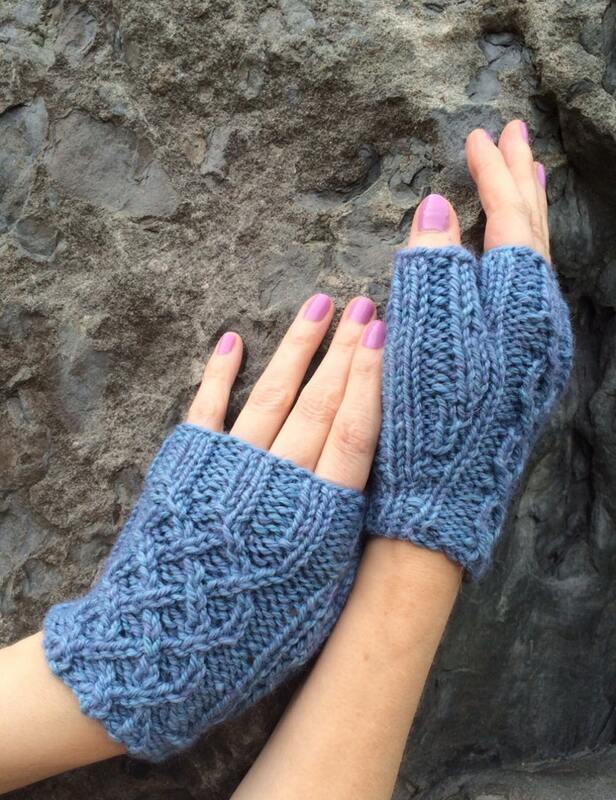 Dusty blue (with just a hint of lavender) Celtic cable pattern mitts in a slightly more cropped length. They're functional for moderate warmth, but your fingers are free to hold a mug. Size: Cropped, 4.25-inch length. Easily fit 7-inch circumference (should fit average woman's hand).